Is there a way to input variable excel data into multiple column graphs in Illustrator? So, for example, I need 100 different graphs, like the one shown below, that have the same graph style and the vertical axis (0-100). I want to avoid manually copying and pasting 100 individual graphs to then manually change the 100 blue and green columns and horizontal axis? I'm also having trouble figuring out how to put a % to the end of the totals in both column designs. I currently have them set as "%00" to capture the data input as it changes, but when I try to add a % to the end of the text it no longer follows the data input. Sounds like you want to use the Variables palette to set up multiple versions of your graph data - there is a ton of info on doing this in the Adobe Help, FWIW. I rarely link to their stuff, but in this case it's really not worth my going through re-writing what they already have done so well: suffice it to say that with some re-orgnaisation of your Excel data, correct binding of the variables to the relevant items, you should be able to iterate your graphs pretty simply. If this doesn't do it, you could do it the old-fashioned way, and rename a source file repeatedly to iterate your design. 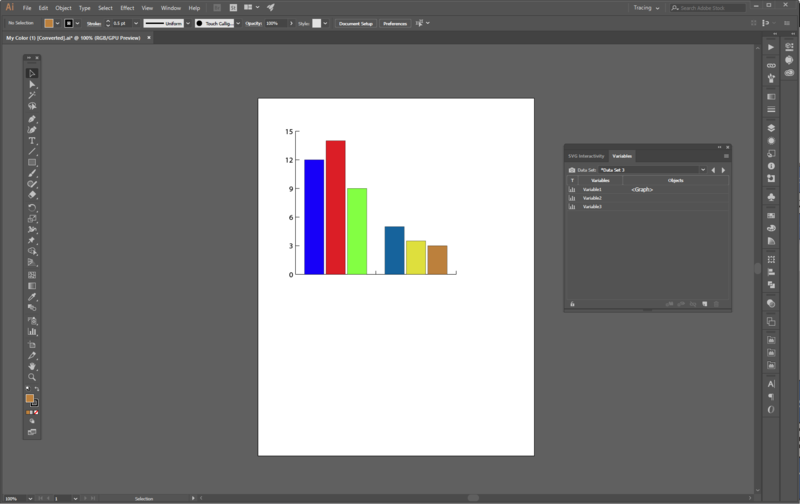 Can you link text data to an Illustrator graph using variable importer script? 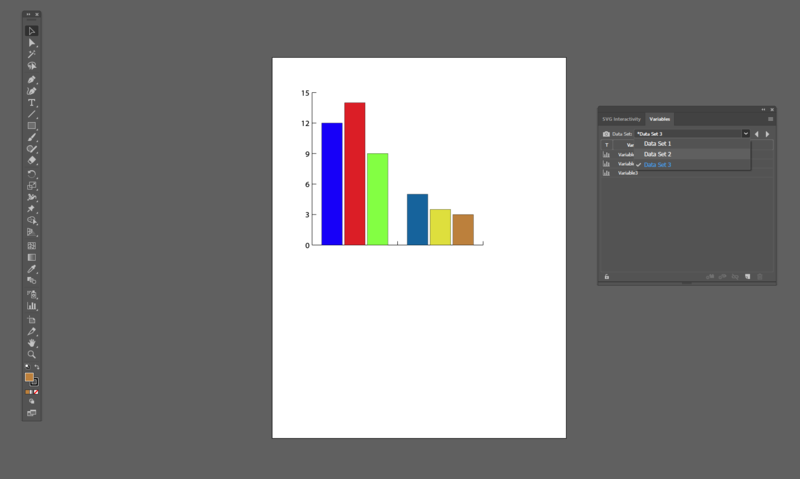 Illustrator: alignt according to points WITHIN object groups (not their uper/lower border or center)? 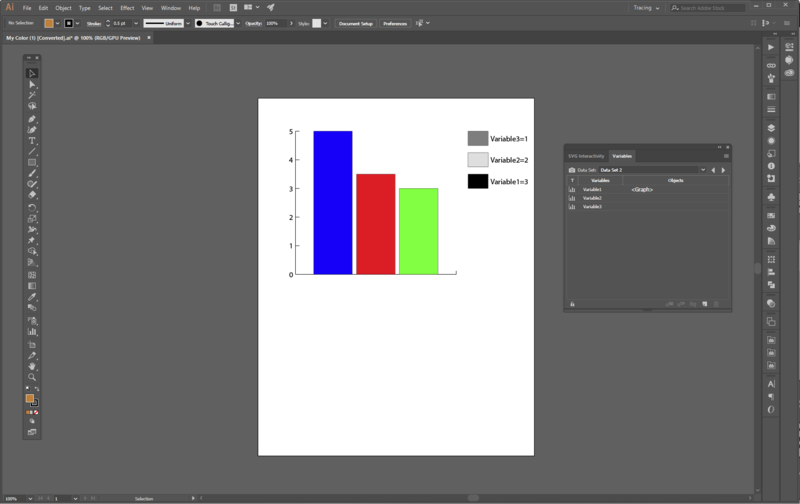 How to display data labels in Illustrator graph function (pie graph)?